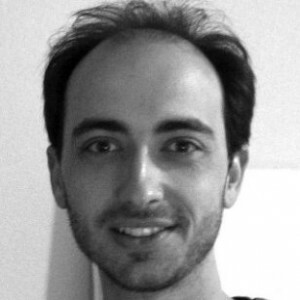 Following is a brief conversation with Makai Smith, SIGGRAPH 2012 Studio Chair from Bentley Systems. In 2001, Smith received a Master of Architecture from Arizona State University and previously served as the SIGGRAPH Design & Computation Chair amongst other volunteer positions. What can attendees expect from the Studio experience this year and how will it be the same/different than last year? The hands-on environment and creative spirit of the Studio endures. Each year we build on what works at the Studio, so attendees will find a full range of creative technologies accompanied by a talented staff of experts who are eager to help. The Studio also has a full schedule of Talks, Workshops, and Projects. In recent years, the Talks and Workshops have grown, and we are getting almost all of the Studio content via peer reviewed entries to the SIGGRAPH call for submissions. What is the difference between a Studio Workshop, Talk, or Project? Studio Workshops are held in a classroom setting and run as a tutorial where the participants each sit at a computer and follow a lesson. Seating is limited and first-come, first served. Some of the talks will be given by artists showing in the SIGGRAPH Art Gallery who will give instruction on techniques central to their work. Studio Talks are the same format as Talks found elsewhere at SIGGRAPH: a session of a few talks arranged around a theme. What makes them Studio talks is that they focus on creative practice or techniques. Studio Projects are collaborative, participatory, hands-on, creative activities. You can make something to take home. Both Talks and Workshops follow a published schedule. Studio projects run continuously throughout the conference. For someone new to the “SIGGRAPH experience”, what is your advice for how they should experience the Studio? The Studio has many creative projects – from DIY electronics to motion capture to 3D printing. There is such a range: the best way to engage the Studio is to find something that interests you and ask, “What can I make?” Roll up your shirt sleeves, get some guidance from the Studio’s skilled staff, and create something. How would you describe your experience as Studio Chair versus when you served as the Design & Computation Chair? The contrast is that of breadth versus depth. The Studio is broad-based creative environment that encompasses Studio practice in many forms, whereas the Design & Computation Gallery was focused on a theme and contained finished works. In the Design Gallery it was a test of curatorial skill to gather together a body of work that explored my interest in generative design and digital fabrication. So many creative disciplines use computer graphics and work in a place they call a Studio: art, architecture, sculpture, jewelry, animation, games, dance, and music are just some of them. As Studio Chair my challenge is to cover the range of what a Studio means and make a space for attendees to participate. Which Workshops or Talks are you looking forward to the most? Because of my architecture and fabrication background, I’m looking forward to the Studio Talks session titled “Digifab” which will present cutting edge digital fabrication techniques and case studies on Tuesday afternoon. There’s also the “Grooving” Studio Talks which will showcase music performance systems – it will be preceded on Monday morning by a live demo in the “Jamming” session. The “Signal Strength” workshop on Tuesday afternoon is an overview of open-source radio communication and mesh networks. Beyond the technical aspect, this project is fascinating to me because of its radical social implications. The Studio will have sample devices for people to come in and use. The Studio has selected talks that cover the gamut, so we hope all attendees will find something that interests them. How did you initially get involved as a SIGGRAPH volunteer and what motivates you to remain involved? In 2000 I was encouraged by friends to become a Student Volunteer while attending Arizona State University because the Studio at SIGGRAPH had 3D printing and scanning technologies like I was using in my architectural studies. Other than once, I’ve been a volunteering every year since then! I keep coming back because SIGGRAPH brings together a unique and amazing group of people with so much to teach. There is no other way I can stay on top of so many different facets of computer graphics. Describe one of your more current interesting projects at Bentley Systems? I’m currently working on the application of multi-disciplinary optimization (often called MDO) to architecture design. This will use GenerativeComponents software as a MDO platform to bring together the analysis of a building’s structure, energy use, and other feedback to assist users in creating the most optimal solution to complex problems. What we are able to build and its effects on our environment is ultimately a product of the decisions we make when designing. That’s why computer aided design has moved beyond just “making drawings” to become a decision support system which aids human intellect. If you could have dinner with any architect (living or dead) who would that be and why? 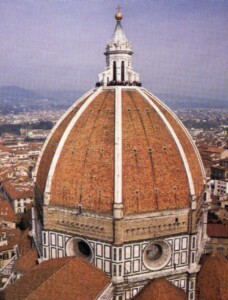 Filippo Brunelleschi, a Florentine architect of the early Italian Renaissance, fascinates me. He is one of the inventors of perspective in visual representation. With the introduction of computer modeling to architecture, we have crossed another “perspectival moment” in which fundamental representation of a discipline changes. What did great artistic and technical change look like to him? 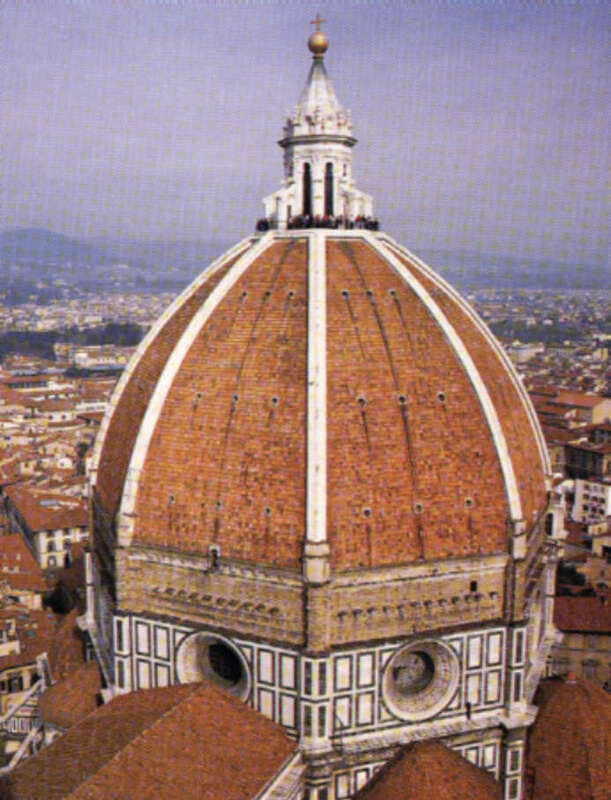 Brunelleschi was also a talented builder who mastered both architecture and engineering in his construction Il Duomo, the dome of the cathedral in Florence. He, like Leonardo, exemplifies the mind of a polymath: bringing together art and science. This was a great description and highlighting of the Studio 2012 and all the interesting things we have to offer this year. Great job Makai…I can’t wait to have fun with the attendees int he Studio this year! Makai, wishing you much success and fun in 2012! I’ll be cheering you on! For all of you who have never attended the Studio, it’s a real digital playground. A place where you can gets your hands on cutting edge ideas and technology. You’ll want to plan to spend a chunk of time in this amazing space. Visit, Get Involved, Create, and leave with Hands on Experience.